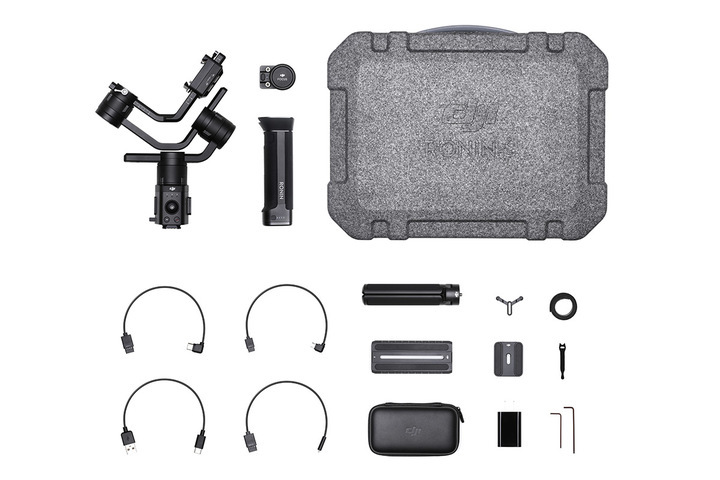 DJI are probably best known for their line up of drones but they also have a very strong offering of video equipment from beginner all the way to professional gear. 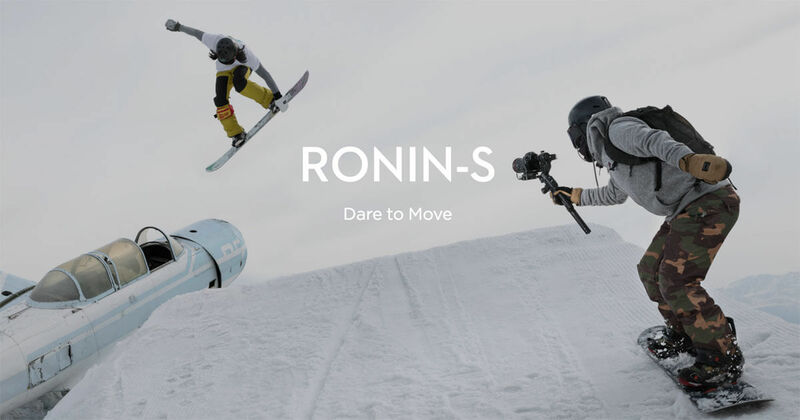 The Ronin-S is DJI’s first foray in to the affordable prosumer handheld gimbal market. DJI already have a strong offering for entry level video in the form of the Osmo+ and Osmo Mobile. They also have the top end of the market covered with the Ronin 2, Ronin-M and MX. All of these products are fantastic but for people wanting to film on mirrorless and DSLR cameras they just don’t quite fit. The Ronin-S looks to fill that gap as a quick and easy way to get smooth shots without too much setup overhead. The form factor is much more practical than the Ronin-M and you don’t need a stand to rest it on while it’s not in use. You can quickly power it on and off and the base has a tripod so you can easily sit it down when you need to. The gimbal is a beast weighing 1.8kg, so its fairly heavy for one handed operation but you can use two hands on the grip and could add a handlebar to it if needed. This is certainly not a new concept and DJI are not first to market, Zhiyun have the Crane 2 which is very similar in price, specs and weighs just 1.2kg. The Ronin-S does have some nice little features over the Zhiyun Crane 2 and most importantly the gimbal doesn’t cover the screen meaning you can shoot without an external monitor. Ronin-S has a camera weight limit of 3.6kg which is more than enough for a full frame DSLR and decent sized lens. The battery life is up to 12 hours, so you should be able to do a whole day’s shooting on one battery. It has a range of speeds so you can capture different pacing in your shots and has a crazy max operating speed of 46mph (75kph). A central joystick on the gimbal allows you to perform simple pan and tilt camera moves in a thumb movement. Additional features like continuous roll allow you to really get creative with shots and edits to make dynamic visuals. The ability to lock the camera during movement and get it to work with the handle above the camera allow for real ease of use. 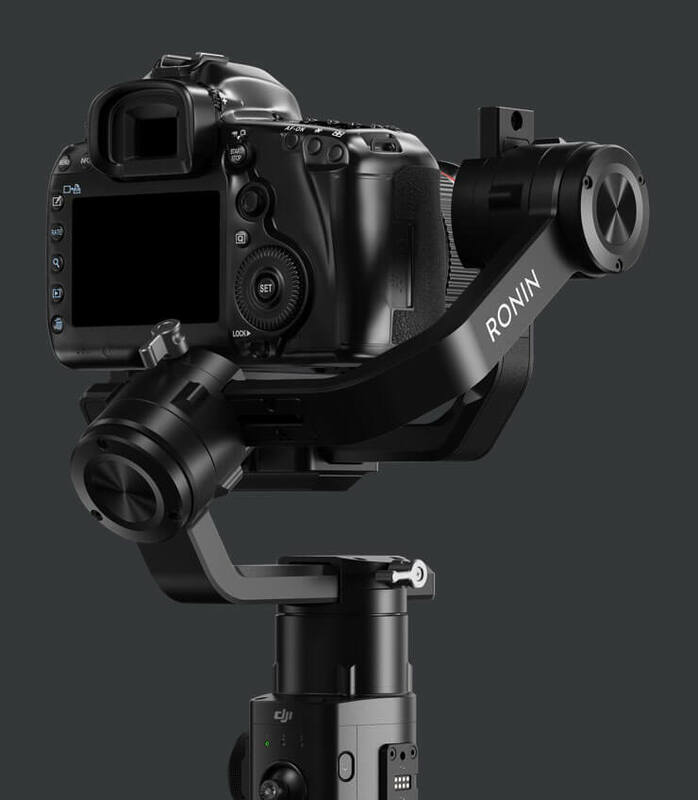 Ronin-S has an integrated follow focus system that is compatible with a wide range of cameras, you can see if you camera is compatible here https://d32xrmdsd5z66d.cloudfront.net/Products+info/Ronin-S+Camera+Compatibility+List+(2018.05.29).pdf. An optional external motor will be available for focus pulling on unsupported cameras rumoured to cost around $199 (£179). Ronin-S is fully programable using SmartTrack on the Ronin app so you can set timed tracking paths. There are modes available for panorama, motionlapse and timelapse. One really nice feature for vloggers is its 180 turn feature, so the user can spin the camera back and forth between them and what is happening behind the camera. Optional remote controls are available for times where you want an operator to use the gimbal on say a monopod for long sweeping shots and the controls are inaccessible. You can sit back and just frame your compositions remotely on the fly. The price tag of the DJI Ronin-S is $699 (£669) which is very competitive with comparative models on the market. You may consider buying additional accessories for the Ronin-S but you get everything you need to start shooting for that base price including a case. The Ronin-S is perfect for vloggers, b-roll and run and gun shots amongst many other things. It has a solid build quality and competitive price point with a range of accessories available to scale it up if required. If you shoot on Mirrorless or DSLR and want to up your video game then this is certainly for you. If you already have the Zhiyun Crane 2 then this may not offer enough for you to switch but for everybody else the Ronin-S is a strong offering at a well placed price point. The DJI Ronin-S is available to buy now for $699 (£669) direct through DJI.